I’ve been planning to cook these kebabs for some time now and to be honest, not sure why I didn’t cook them sooner as they are so quick and ridiculously tasty. My mother-in-laws homemade kebabs taste amazing! So as you can imagine I hear a lot of ‘my mum cooks the best kebabs’ from the hubby. Whilst this is highly annoying, I have to agree – they really are good. I knew I could cook them just as well, or perhaps (dare I say it) even better! And I have to say, I wasn’t wrong! These kebabs are great for family meals either as a starter, or as a main course in naan with fresh salad tossed over the top. They’re also perfect as a finger food for younger members of your family. Well-seasoned and protein-rich, these kebabs will go down well with everyone and saves you having to cook different meals - just make it all at the same time. Makes 8 adult kebabs. Total preparation and cooking time: 25-30mins. Place the mince, cumin, coriander, garam masala and turmeric in a bowl and combine well using your hands. Remove a portion for your little one and set aside. Then add the salt and green chillies to the ‘adults’ kebab mince and combine well. Take a handful of mince and shape into a kebab and set aside. Repeat until all of the mince has been used. Then pre-heat a griddle pan spreading a little oil in the pan to ensure the kebabs don’t stick and cook your little ones kebabs on medium-high heat for approx. 4 minutes on either side or until thoroughly cooked - then set aside. Repeat the process for the family kebabs and set aside. Next heat a little olive oil in a frying pan and stir-fry the onions until soft. Then add garlic and continue to stir-fry for a few seconds, followed by the tomato ketchup and soy sauce. Cook for 2 minutes until combined well. Once cooked drizzle the sauce over the family kebabs and gently mix until they are all covered. Garnish with fresh coriander leaves and serve. Delicious!! Note: Your little ones kebabs are better served without the sauce due to the high salt content of soy sauce. 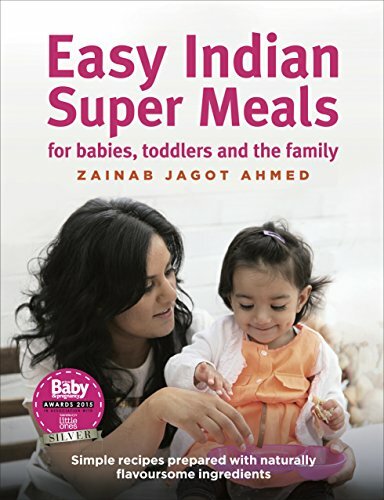 You can find more delicious recipes in Easy Indian SuperMeals for Babies, Toddlers and the Family. 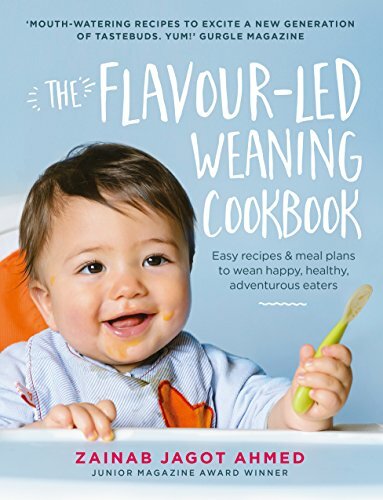 Available to buy now from Amazon. Recommended by Prima Baby & Pregnancy and Mother & Baby.